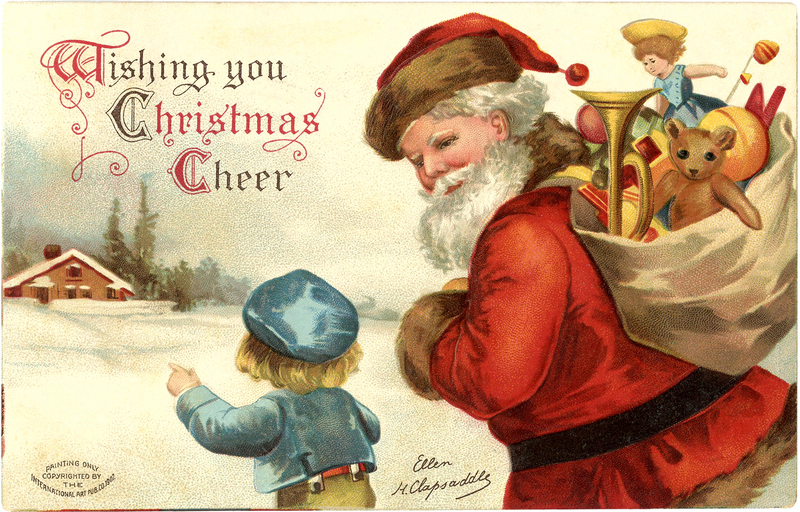 This is a classic Vintage Santa Postcard! 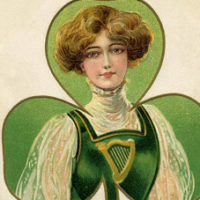 This is another card by Ellen Clapsaddle, one of my favorite Postcard Artists! Here we see a traditional looking Santa in his red suit, with a sack full of Toys. There is a sweet little boy in the picture, who appears to be directing Santa to his home! The greeting on the card is “Wishing You Christmas Cheer”. Such a cute nostalgic Antique card! You might also like a card showing Santa in his Workshop HERE. 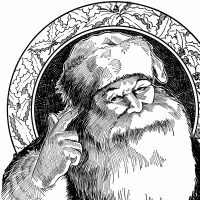 15 St Patricks Day Clip Art Ladies – Updated 6 Santa Illustrations – Black and White 10 Santa Sleigh Images and More! Always so very inspiring to visit your blog, Karen. Merry Christmas to you & yours! A very Merry Christmas to you and your family, Karen. 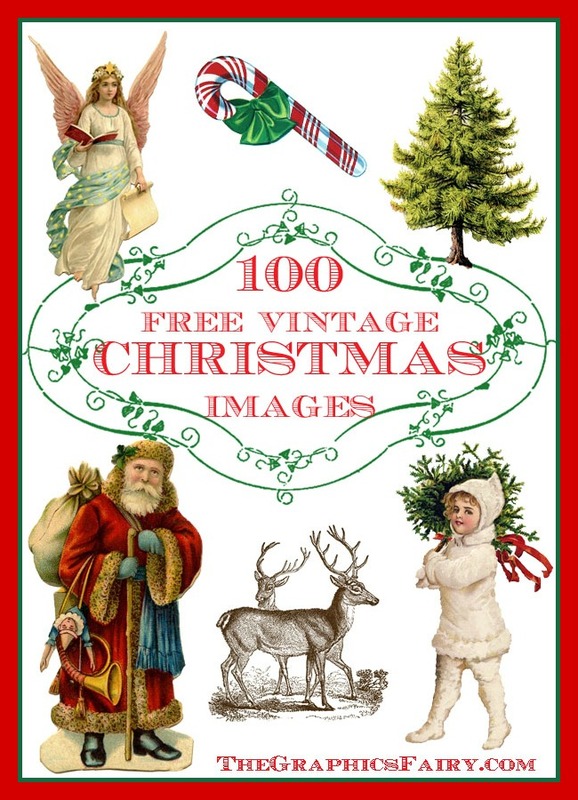 Thank you for the daily gift of cool printables all year long. You are wonderful!